Lately I've really been itching to read sequels. I hope that continues because there are a lot of sequels coming out in the second half of the year. Here are a few of the sequels I've read lately. Last year Red Queen (featured here and here) made my Favorite Debuts of the Year list. Over time my ardor for the series cooled significantly, but I still really wanted to find out what happened, so I got in the queue for the audiobook at the library. 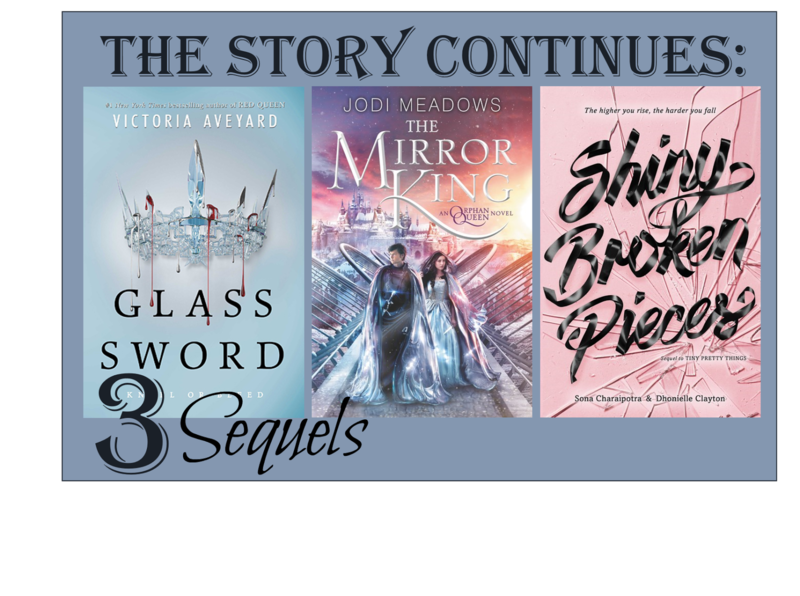 In Glass Sword, Mare Barrow and Prince Cal are on the run from Prince Maven. There are certain high-ups in the rebellion who are afraid of Mare and her unusual powers but still want to use her for their own ends. This aspect of the story reminded me of Mockingjay, the final book in the Hunger Games trilogy. Mare, Cal, and a few loyal rebels escape the rebellion and go on a hunt to find all the red bloods with powers before Maven does. This part of the story reminded me of how in Breaking Dawn Carlisle and the gang were gathering all the talented vampires to combat the Volturi. I never find this type of setup--where the heroes are traveling from place to place, living in the wilderness, preparing for battle--quite as engaging as when the heroes are thrust into the heart of the oppressive society. But, it seems like most dystopias need a middle book that does just this. Because it's not really my thing, I rightly cut books like this some slack. 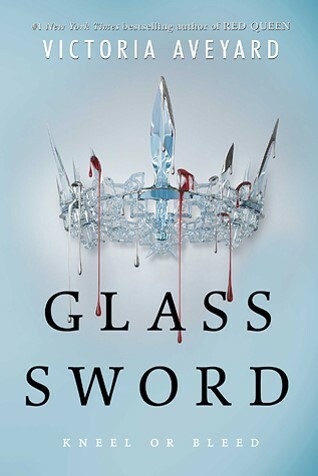 Glass Sword is definitely not the most original YA fantasy/ dystopia out there, but it is still a lot of fun, and when I finished the book I definitely wanted to know what would happen next, which is always a good sign. Last year I read my first Jodi Meadows book, The Orphan Queen (feature here). It's the story of Wilhelmina Korte's plan to take back her kingdom. It has spies, magic with hefty consequences, and a young, masked vigilante who fights crime. I loved how the book combined elements of high fantasy and superhero comics and that Ms. Meadows gave Wilhelmina some serious fighting skills. Plus, it ended with an earth shattering cliff-hanger, so I was all set for the sequel. In book two, Wilhelmina is still working to gain back her kingdom, but it seems like maybe she is in an even worse position than she was in the first novel. How is that possible! What killed me about book two is how many conflicts/ crises Wilhelmina had to deal with. Let's see if I can even remember them all. 1. She wants her kingdom back. 2. Her former ally is really more like an enemy now. 3. The ruler of Aecor has no intention of relinquishing his control. 4. Her best friend has abandoned her. 5. The prince is dying. 6. She has turned a bit of the wraith into a living creature and it is completely unpredictable and amoral. 7. She's in love with a man who belongs to someone else. 8. And, oh yeah, the wraith is going to destroy EVERYTHING. Did I miss any? Maybe. There are so many. So my main thought throughout was, "How on earth is Ms. Meadows going to take care of all these problems in one book?" Guys, she did. I'm still not sure how, but it was impressive. 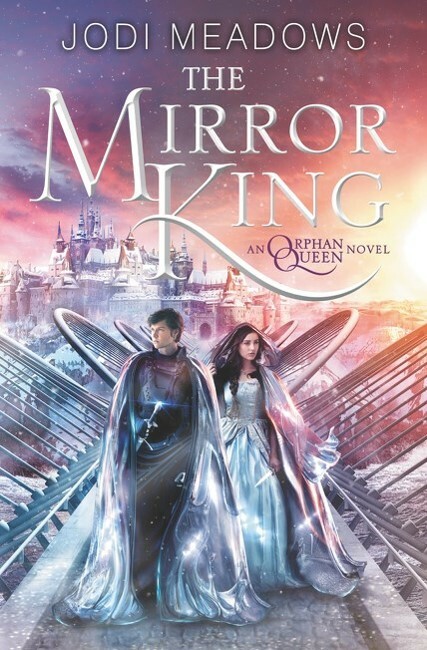 The Mirror King is a very different book than The Orphan Queen. The setting shifts. We don't get to spend as much with with The Black Knife or Prince Tobiah. Those can be hard blows to take. James is still around and the secrets surrounding his character really kept me reading. Overall, I found it to be a satisfying conclusion to the series. Huge ballet book fan here, so when I found out that Sona Charaipotra and Dhonielle Clayton's debut novel was about the top dancers at an elite New York City ballet school, I knew there was no way I was missing out on that (featured here). My feelings about Tiny, Pretty Things, however, were a bit more complicated than I had anticipated. The book is so crazy cutthroat with scary backstabbing and horrifying bullying, but you also feel a (tiny) bit of sympathy for every character. I had a lot of questions at the end of the book, so when I saw there was a sequel, I knew I had to jump on it. 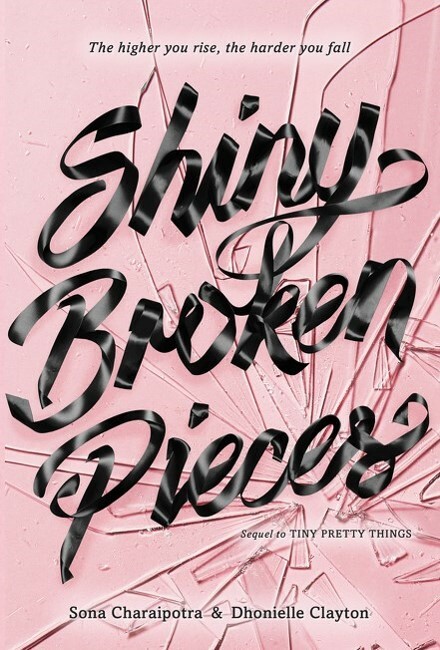 And, I really liked Shiny Broken Pieces. A lot. When the first book ends the reader really isn't sure who did what. It wasn't 100% necessary to have a sequel if a vague, ruthless kind of ending was what the authors wanted to go for. That said, it is so satisfying to have some answers! Shiny Broken Pieces picks up after the summer. Gigi has healed from the car crash and is returning to school. June has a boyfriend and is doing a bit better health wise when the novel begins. Bette has been expelled from the school, but she is out to prove her innocence. And Cassie, the golden girl who was bullied into a serious injury before book one began, is back. All of these dancers want the two apprenticeship spots more than anything in the world. What will they do to get them? Here's a hint: This year will be no easier than the last. This book is the type of book that I cannot put down. I am so compelled to know how it is all going to turn out because you know that it's not going to end well for everyone. I am so happy with where all our main characters ended up. They definitely all have some big challenges ahead, but they are in such a better place than they were at the end of book one.